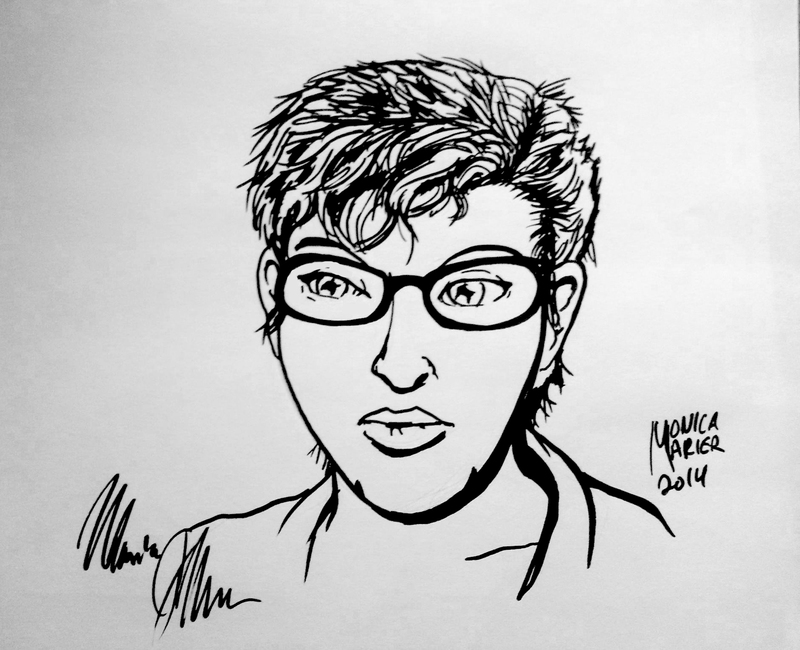 Day 1, Self portrait in Ink using brush-tip pen. I’m not going to go on with the things I don’t like. They’re glaring and obvious, but I am proud of how the hair came out. Hair, especially short hair, has always been a struggle for me. This is also using a brush-tip pen which is a pen I usually avoid using at all costs since I tend to press down on my pens like I’m etching things in silver. Well, that’s it for Day 1. Stay tuned for Day 2. (Note, some days will be combined if I don’t have access to internet (like I’m at a convention or whatever). This is an awesome idea! I look forward to seeing your future inkings! !